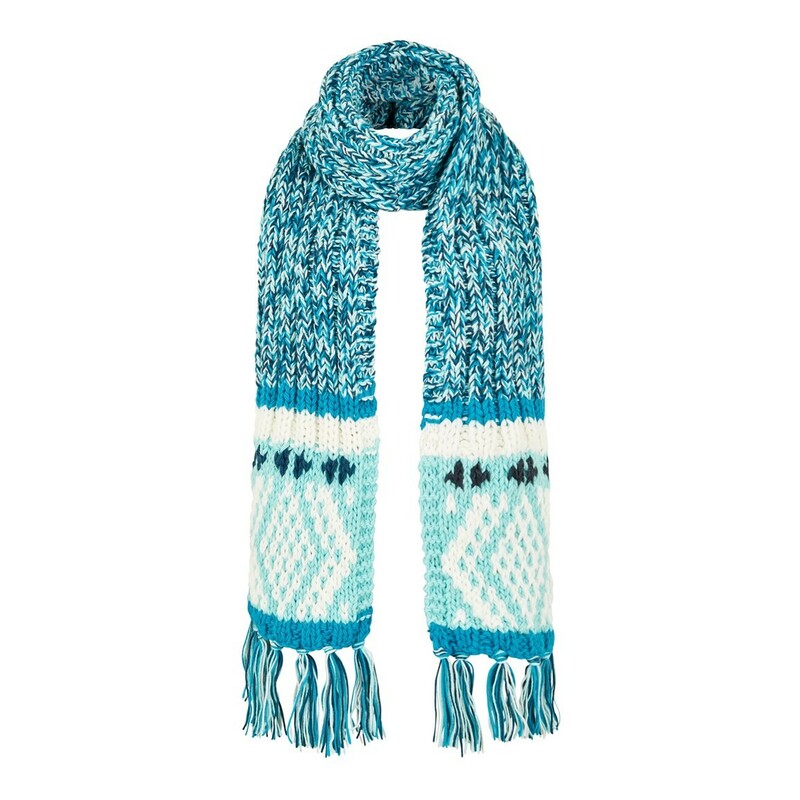 Choose our Callie Fair Isle scarf this season, the perfect option to take the chill off those colder mornings whilst looking stylish too. Soft and itch-free we've made it nice and long at 190cm so you can really wrap yourself up warm. 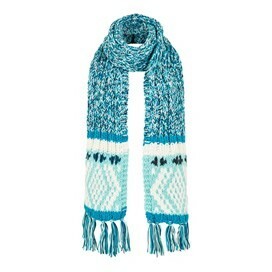 The Callie in Aqua Marine features a pretty and unique Fair Isle pattern, and a small leather Weird Fish badge on one end of the scarf. Thick and chunky, the warm and cosy Callie also features tasseled edges that will look great hanging over a cosy jumper and why not match with our Ellen Fair Isle bobble hat, the matching colours and patterns will make for an effortlessly stylish addition to your outfit. and the scarf..all set up for winter now. 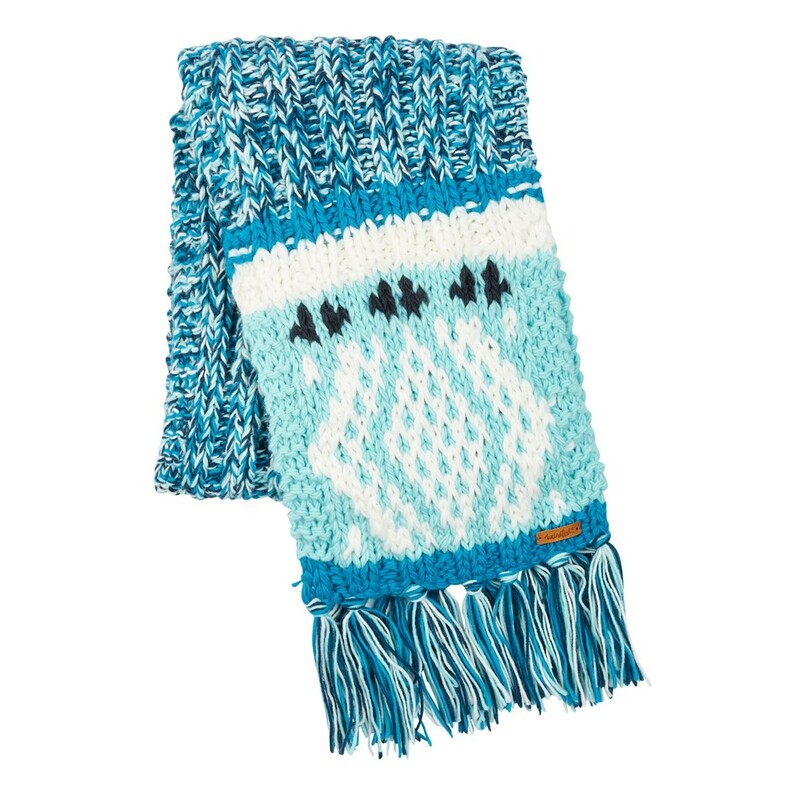 This scarf went perfectly with the matching hat, I personally found it too bulky and it made me feel quite claustrophobic so it is with regret that I will be returning it.